Anne Day is the first to admit, she feels like she is being “left behind” in the digital world. 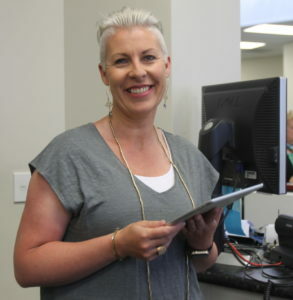 But Digital Seniors, a new trust helping Wairarapa’s senior’s with technology, is helping Anne build her skills and confidence. “I just felt like I was being left behind and at one point was scared to even press the Apps on my device,” Anne said, after she was given an iPad by her daughter. “It’s been a big learning curve but now I can send emails and use Facebook. “I have Netflix and Lightbox and television on demand which has been great and most importantly, I can face time my family. Anne is one of about 15 residents at Masterton’s Masonic Village who attend weekly fun sessions by volunteer Andre Hattingh. Here the group learn digital basics in an entertaining way, learning to send and receive texts and phone calls, download apps, use their device’s camera and set up social media accounts. She said despite her initial reservations, she has achieved several milestones that in turn build her online confidence. “My daughter face timed me last night and we were talking about Genesis Energy’s five free hours. “She offered to help me set this up online and I said, ‘I’ve already done it’. “She said ‘Oh’ and we both laughed. “It’s those moments where I realise I’ve learned quite a lot in a short time,” said Anne, a former nurse-aid. Digital Seniors is a community trust providing free technology support to seniors through these entertaining sessions in retirement homes, a free phoneline for seniors to call for help with resolving their technology issue, and free individualised coaching. Next month, well-known television personality Nigel Latta will present “Stone Aged Brains in Smart Phone Times: How to Survive & Thrive in the modern world”, a special fundraiser for Digital Seniors to be held at the Carterton Events Centre. Latta, ONZM, is a psychologist, author and host of the television show Beyond The Darklands, The Politically Incorrect Guide to Teenagers, and The Politically Incorrect Parenting Show. The fundraiser is perfect timing says Hattingh, who not only wants to raise awareness of Digital Seniors, but also to recruit more volunteers to provide one-on-one help to seniors. “As far as I’m concerned there’s a lot of seniors being left behind as many of them never had the opportunity to learn technology at school or use it at work and now in their retirement are feeling isolated and lonely,” he said. “Wherever you look these days, services are increasingly online – from getting a new passport to doing your banking. With the closing of many banks in rural areas there’s a whole bunch of seniors wondering what the hell to do about it as they may not be mobile or have access to transport to get to the next town – so they’ve been forced to do online banking but don’t have the skills to do it. He said it was fun helping seniors. “I’d like more of our community to become a Digital Seniors volunteer helping seniors so they benefit from online services and socially connect”. Hattingh said the sessions introduce useful things seniors can do with technology, like finding where you parked your car in the supermarket. They are tailored to an individual’s needs so they can learn at their own pace. “What I see is many seniors are given devices from friends or family but not shown how to use them or set them up. “They often say they are too stupid to use them and that kills me to hear that. 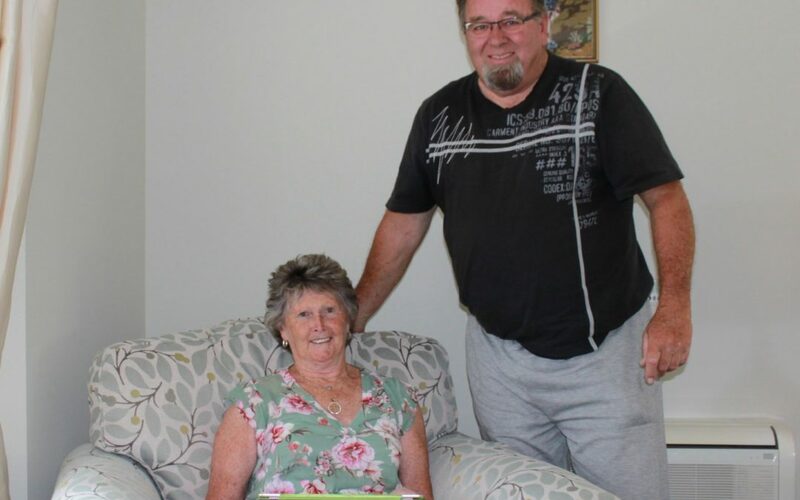 One success story Hattingh loves to share is one participant who didn’t know how to turn a device on and off – and is now creating a digital directory for the 6000 photos she has stored on her device. Digital Seniors was launched by Prime Minister Jacinda Ardern in Masterton last August. It was born out of Masters research on the Digital Inclusion of Seniors by chief executive Cathy Hardinge. Since then the trust has brought volunteers, business and education providers together to help improve seniors’ use of technology and drive positive examples of seniors’ tech usage. Free weekly sessions are run by volunteers at Masonic Village and Lansdowne Park in Masterton and at Wharekaka in Martinborough. More Digital Senior’s hubs will soon be established throughout the region. Hardinge said Digital Seniors was a community story of Wairarapa coming together to collectively help seniors to enjoy the benefits of technology and not be left behind. “We’re doing this through volunteers and businesses who can see we need to help. Tickets available online from www.eventfinda.co.nz, or by cash/eftpos from Carterton Events Centre. Price: $40 plus booking fee. Pre-show drinks and nibbles included. By and large our readers' comments are respectful and courteous. We're sure you'll fit in well.